Whether it’s dwindling drinking water supplies or extreme weather events, many of the impacts of climate change people will experience in their daily lives are connected to the water cycle. It’s daunting to think about local efforts making a difference with complex global challenges like climate change, but environmentalist author Rebecca Wodder and Executive Director Arthur Johnson of the Center for Sustainable Engagement and Development contest that when it comes to water issues, grassroots community action can often be the most effective. Wodder and Johnson warn that our heavy reliance on water resources for electricity and infrastructure put us acutely at risk, and invite us to a conversation about developing sustainable solutions for coastal cities that work with nature rather than against it. Join us for encouraging stories and strategies for community-driven resilience projects such as rain gardens and waterway and wetland restoration—and learn how these projects bring communities together with a sense of purpose to protect and improve the places they call home. Wodder and Johnson will be joined on stage by Patti Southard, Program Manager for King County’s “GreenTools” Program and Jill Mangaliman, Executive Director at Got Green, to provide a local context for the “Community Resilience” model of organizing. 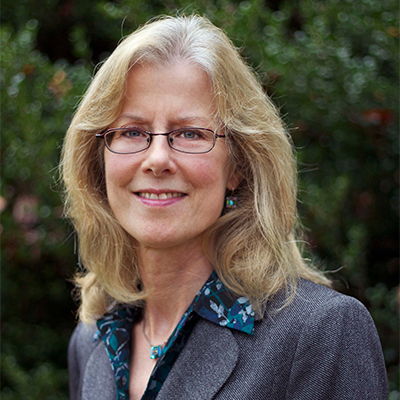 Rebecca Wodder is a writer and speaker who has been advocating on watershed and water resource resiliency for four decades. Arthur Johnson is the Executive Director of the Center for Sustainable Engagement and Development, a New Orleans organization focused on sustainability, community education, and civic development. Patti Southard is the program manager for “GreenTools” green building program in King County Washington, and she provides technical assistance for the County’s LEED, Living Building Challenge, and Built Green initiatives. Jill Mangaliman is a Seattle-based queer Filipino-American community organizer, and Executive Director of the grassroots community Got Green organization. Presented by Town Hall Seattle, King County Green Tools, Island Press, and the Bullitt Foundation as part of the Civics and Town Green series. Please join Island Press author Rebecca Wodder and the Center for Sustainable Engagement and Development’s Executive Director Arthur Johnson for a conversation about how to build community resilience to climate-driven water challenges—and build natural and social capital in the process. Ms. Wodder brings a policy context and will discuss strategies for community engagement, while Mr. Johnson will provide case studies in building community resilience using examples from his work with residents to rebuild after Hurricane Katrina in New Orleans’ Lower Ninth Ward. Rebecca Wodder, a water resources advocate, who has been writing and speaking on watershed and water resource resiliency for four decades. Rebecca’s current focus is on how natural and human environments can reinforce each other in resilient and sustainable ways. Arthur Johnson, Executive Director of Center for Sustainable Engagement and Development, a community-based organization in the Lower Ninth Ward of New Orleans focused on sustainability, community education, advocacy, and training and civic and community development.